The Scotland national football team represents Scotland in international football and is controlled by the Scottish Football Association. It competes in the two major professional tournaments, the FIFA World Cup and the UEFA European Championship. Scotland, as a constituent country of the United Kingdom, is not a member of the International Olympic Committee and therefore the national team does not compete in the Olympic Games. The majority of Scotland's home matches are played at the national stadium, Hampden Park. 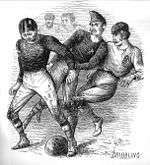 Scotland is the joint oldest national football team in the world, alongside England, whom they played in the world's first international football match in 1872. 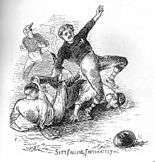 Scotland has a long-standing rivalry with England, whom they played annually from 1872 until 1989. The teams have met only six times since then, most recently in November 2016. Scotland have qualified for the FIFA World Cup on eight occasions and the UEFA European Championship twice, but have never progressed beyond the first group stage of a finals tournament. The team have achieved some noteworthy results, such as beating the 1966 FIFA World Cup winners England 3–2 at Wembley Stadium in 1967. Archie Gemmill scored what has been described as one of the greatest World Cup goals ever in a 3–2 win during the 1978 World Cup against the Netherlands, who reached the final of the tournament. In their qualifying group for UEFA Euro 2008, Scotland defeated 2006 World Cup runners-up France 1–0 in both fixtures. Scotland lost just two of their first 43 international matches. 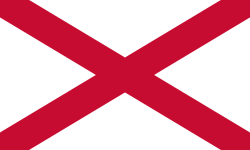 It was not until a 2–0 home defeat by Ireland in 1903 that Scotland lost a match to a team other than England. This run of success meant that Scotland would have regularly topped the Elo ratings, which were calculated in 1997, between 1876 and 1904. Scotland won the British Home Championship outright on 24 occasions, and shared the title 17 times with at least one other team. [note 1] A noteworthy victory for Scotland before the Second World War was the 5–1 victory over England in 1928, which led to that Scotland side being known as the "Wembley Wizards". Scotland played their first match outside the British Isles in 1929, beating Norway 7–3 in Bergen. Scotland continued to contest regular friendly matches against European opposition and enjoyed wins against Germany and France before losing to the Austrian "Wunderteam" and Italy in 1931. During the build-up to the 1978 FIFA World Cup, MacLeod fuelled the hopes of the nation by stating that Scotland would come home with a medal. As the squad left for the finals in Argentina, they were given an enthusiastic send-off as they were paraded around a packed Hampden Park. Thousands more fans lined the route to Prestwick Airport as the team set off for South America. Scotland's first game was against Peru in Córdoba. Two spectacular goals by Teófilo Cubillas meant that the result was a 3–1 loss. The second game was a very disappointing 1–1 draw against Iran. The disconsolate mood of the nation was reflected by footage of Ally MacLeod in the dugout with his head in his hands. New manager Craig Brown successfully guided Scotland to the 1996 European Championship tournament. The first game against the Netherlands ended 0–0, raising morale ahead of a much anticipated game against England at Wembley Stadium. Gary McAllister missed a penalty kick, and a goal by Paul Gascoigne led to a 2–0 defeat. Scotland recovered to beat Switzerland 1–0 with a goal by Ally McCoist. England taking a 4–0 lead in the other match briefly put both teams in a position to qualify, but a late goal for the Netherlands meant that Scotland were again knocked out on goal difference. Scotland failed to qualify for the 2002 FIFA World Cup, finishing third in their qualifying group behind Croatia and Belgium. This second successive failure to qualify prompted Craig Brown to resign from his position after the final qualifying match. The SFA appointed former Germany manager Berti Vogts as Brown's successor. Scotland reached the qualification play-offs for Euro 2004. Scotland beat Netherlands 1–0 at Hampden Park, but suffered a 6–0 defeat in the return leg. Poor results in friendly matches and a bad start to the 2006 World Cup qualification caused the team to drop to a record low of 77th in the FIFA World Rankings. Vogts announced his resignation in 2004, blaming the hostile media for his departure. After the narrow failure to qualify for Euro 2008, McLeish left to join Premier League club Birmingham City. Southampton manager George Burley was hired as the new manager, but he came in for criticism from the media after the team lost their first qualifier against Macedonia. After Scotland lost their fourth match 3–0 to the Netherlands, captain Barry Ferguson and goalkeeper Allan McGregor were excluded from the starting lineup for the following match against Iceland due to a "breach of discipline". Despite winning 2–1 against Iceland, Scotland suffered a terrible 4–0 defeat by Norway in the following qualifier, which left Scotland effectively needing to win their last two games to have a realistic chance of making the qualifying play-offs. Scotland defeated Macedonia 2–0 in the first of those two games, but were eliminated by a 1–0 loss to the Netherlands in the second game. Burley was allowed to continue in his post after a review by the SFA board, but a subsequent 3–0 friendly defeat by Wales led to the SFA sacking Burley. The SFA appointed Craig Levein as head coach of the national team in December 2009. In UEFA Euro 2012 qualifying, Scotland were grouped with Lithuania, Liechtenstein, Czech Republic and world champions Spain. They took just four points from the first four games, leaving the team needing three wins from their remaining four games to have a realistic chance of progression. They only managed two wins and a draw and were eliminated after a 3–1 defeat by Spain in their last match. Levein left his position as head coach following a poor start to 2014 FIFA World Cup qualification, having taken just two points from four games. In qualification for the 2018 FIFA World Cup, Scotland were drawn in the same group as England, facing their rivals in a competitive fixture for the first time since 1999. On 11 November 2016, England beat Scotland 3–0 at Wembley; the return match, in Scotland, is on 10 June 2017. Scotland have qualified for two European Championships, but have failed to advance beyond the first round on both occasions. Their most recent participation was at the 1996 European Championship, where the Netherlands progressed instead of Scotland on goals scored. Scotland's home matches are presently covered by the pay-TV broadcaster Sky Sports. Television rights to away games vary; Sky Sports currently hold the rights to both home and away qualifiers for Euro 2016 and the 2018 World Cup. The arrangements to show Scotland matches on pay-TV have been criticised by the Scottish Government, who have argued that qualifying matches should be included in the list of sporting events which can only be broadcast on free-to-air television. The SFA have argued that limiting the rights to free-to-air broadcasters would severely reduce the amount of revenue that they could generate. An independent advisory panel recommended that qualifying matches played by all four Home Nations be added to the list, but UK Sports Minister Hugh Robertson deferred a decision until the completion of the digital switchover. BBC Scotland, STV, Setanta Sports, Channel 5 and BT Sport are among other networks that have previously shown live fixtures. All matches are broadcast with full commentary on BBC Radio Scotland and, when schedules allow, BBC Radio 5 Live also. In Australia, Scotland's national football team home games and selected away games are broadcast by Setanta Sports Australia. Scotland traditionally wear dark blue shirts with white shorts and dark blue socks, the colours of the Queen's Park team who represented Scotland in the first international. 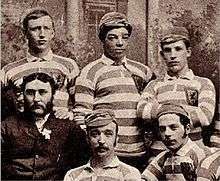 The blue Scotland shirt was earlier used in a February 1872 rugby international, with reports stating that "the scotch were easily distinguishable by their uniform of blue jerseys.... the jerseys having the thistle embroidered". The thistle had previously been worn to represent Scotland in the 1871 rugby international, but on brown shirts. The shirt is embroidered with a crest based upon the lion rampant of the Royal Standard of Scotland. 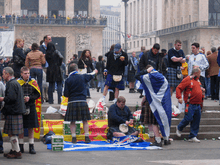 Another style often used by Scotland comprises blue shirts, white shorts and red socks. Change colours vary, but are most commonly white or yellow shirts with blue shorts. From 1994–96 a tartan kit was used. The current version of the crest is a roundel similar to the crest used from 1961 to 1988 enclosing a shield, with "Scotland" written on the top and "Est 1873" on the bottom. In the shield background there are 11 thistles, representing the national flower of Scotland, in addition to the lion rampant. Since 2005, the SFA have supported the use of Scottish Gaelic on the national team's strip in recognition of the language's revival in Scotland. The following players were called up for the match against England in November 2016. The following players have been selected by Scotland in the past 12 months, but were not selected in the November 2016 squad, or withdrew from that squad due to injury or suspension. The Scottish Football Association operates a roll of honour for every player who has made more than 50 appearances for Scotland. As of March 2016 there are 30 members of this roll, with Alan Hutton and Scott Brown the most recent additions to the list. The qualifying mark of 50 appearances means that many notable Scotland players including Jim Baxter, Hughie Gallacher, John Greig, Jimmy Johnstone, Billy McNeill, Bobby Murdoch, Archie Gemmill and Lawrie Reilly are not on the roll of honour. Statistically the most successful manager was Alex McLeish, who won seven of the ten games during his tenure. Discounting managers who took charge of less than ten games, the least successful manager was George Burley, with just three wins in 14 games. Last updated: England v Scotland, 11 November 2016. Statistics include official FIFA-recognised matches only. The SFA includes a match against a Hong Kong League XI played on 23 May 2002 in its statistical totals. Kenny Dalglish holds the record for Scotland appearances, having played 102 times between 1971 and 1986. He is the only Scotland player to have reached 100 caps. Jim Leighton is second, having played 91 times, a Scottish record for appearances by a goalkeeper. Former Scotland manager Alex McLeish played for the team 77 times and is the third most capped player. The title of Scotland's highest goalscorer is shared by two players. Denis Law scored 30 goals between 1958 and 1974, during which time he played for Scotland on 55 occasions. 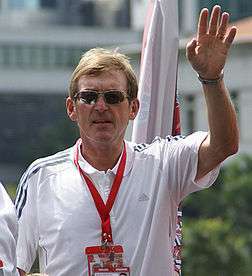 Kenny Dalglish scored an equal number from 102 appearances. Hughie Gallacher as well as being the third highest scorer is also the most prolific with his 23 goals coming from only 20 games (averaging 1.15 goals per game). Other notable strikers include Lawrie Reilly, Ally McCoist, Mo Johnston and Joe Jordan. ↑ The competition did not use goal difference or goal average to separate teams level on points, so the title was shared instead. 1 2 Scotland qualified for the tournament as they finished in the top two positions in the 1950 British Home Championship, but the SFA withdrew Scotland's entry because they were not British champions. 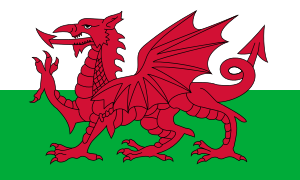 ↑ Cardiff City and Swansea City are Welsh clubs that play in the English football league system. ↑ Dawson Walker was left in charge of the players due to the Munich air disaster, in which official manager Matt Busby was seriously injured. ↑ Malky McDonald was manager on a caretaker basis, following the departure of John Prentice. 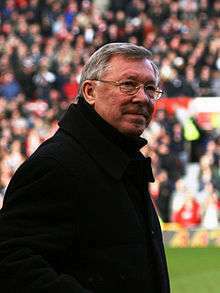 ↑ Alex Ferguson was interim manager, following the death of Jock Stein. ↑ Tommy Burns was manager on a caretaker basis, following the resignation of Berti Vogts. ↑ Billy Stark was manager on a caretaker basis, following the sacking of Craig Levein. 1 2 "Scots close in on England ranking". BBC Sport. BBC. 24 October 2007. Retrieved 14 October 2015. ↑ "Wales fall in Fifa world rankings". BBC Sport. BBC. 24 March 2005. Retrieved 13 May 2007. 1 2 "World Football Elo Ratings: Scotland". World Football Elo Ratings. Retrieved 13 May 2007. 1 2 "A history of fierce football rivalry". BBC Sport. 13 October 1999. Retrieved 25 October 2007. 1 2 3 4 5 6 "1978 World Cup". BBC Scotland. Retrieved 15 May 2007. 1 2 3 4 5 6 7 "International Roll of Honour". Scottish Football Association. Archived from the original on 11 October 2010. Retrieved 9 September 2010. 1 2 3 4 Mitchell, Paul. "The first international football match". BBC Scotland. BBC. Retrieved 12 September 2013. 1 2 3 "British Home Championship Overview". Rec Sport Soccer Statistics Foundation. Retrieved 14 May 2007. 1 2 "Scotland – International Matches 1921–1930". Rec Sport Soccer Statistics Foundation. Retrieved 15 May 2007. 1 2 3 "The four British associations return to FIFA after the Second World War: 25th FIFA Congress in Luxembourg in 1946". FIFA. Archived from the original on 14 June 2010. Retrieved 20 February 2010. 1 2 "Founding Fathers Humbled". www.scottishfa.co.uk. Scottish Football Association. Archived from the original on 12 December 2008. Retrieved 27 September 2013. 1 2 Murphy, Alex (4 June 2007). "Docherty: spirit is Scotland's secret weapon". The Times. News International. ↑ Andrew Ward, "Scotland: The Team" (The Breedon Book Publishing Company Limited, Derby, 1987), page 60. ↑ "World Cup 1954 finals". Rec Sport Soccer Statistics Foundation. Retrieved 17 September 2008. 1 2 3 4 Freddi, Chris (June 1998). "Law of averages". When Saturday Comes. Retrieved 14 October 2015. 1 2 3 4 5 "Scotland Manager Records". www.londonhearts.com. London Hearts Supporters' Club. Retrieved 27 September 2013. ↑ "Wembley Wizards 1967". BBC Scotland. Retrieved 15 May 2007. ↑ Paul Brown (2006). The Unofficial Football World Championships. Tonto Sport. ISBN 0-9552183-1-4. 1 2 Hepburn, Ray (21 March 2010). "Why the Scotland 1974 World Cup side gets my vote as best ever". Sunday Mirror. Retrieved 28 July 2010. 1 2 "World Cup 1974 finals". Rec Sport Soccer Statistics Foundation. Retrieved 14 September 2008. ↑ Cole, Ian (13 November 2007). "Wait till the Tartan Army sees the new Wembley!". Daily Mail. London. Retrieved 17 September 2008. ↑ Christian, Nicholas (1 April 2007). "Scots stash souvenirs under Wembley". The Scotsman. Edinburgh. Retrieved 21 September 2008. 1 2 "Scotland – International Matches 1976–1980". Rec Sport Soccer Statistics Foundation. Retrieved 15 May 2007. ↑ Aitken, Mike (2 February 2004). "Ally MacLeod, a tragic hero". The Scotsman. Retrieved 8 January 2008. ↑ Chick Young (7 February 2004). "Ally McLeod – a national treasure". BBC Scotland. Retrieved 15 May 2007. 1 2 3 "World Cup 1978 finals". Rec Sport Soccer Statistics Foundation. Retrieved 14 September 2008. ↑ "The lion roars – too late". The Scotsman. 19 November 2002. Retrieved 8 January 2008. 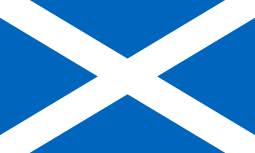 ↑ "Scotland – International Matches 1981–1985". Rec Sport Soccer Statistics Foundation. Retrieved 15 May 2007. 1 2 3 "World Cup 1982 finals". Rec Sport Soccer Statistics Foundation. Retrieved 14 September 2008. 1 2 Brown, Craig (11 September 2005). "Stein, a national treasure". The Scotsman. Retrieved 8 January 2008. ↑ "World Cup 1986". Rec Sport Soccer Statistics Foundation. Retrieved 14 September 2008. ↑ Young, Chick (17 July 1986). "Scotland on a winner". Evening Times. p. 20. Retrieved 20 October 2012. ↑ Davidson, Alan (12 November 1987). "Too late but new boys look good for future". Evening Times. p. 26. Retrieved 12 April 2015. ↑ "World Cup 1990 Qualifying". Rec Sport Soccer Statistics Foundation. Retrieved 31 August 2008. 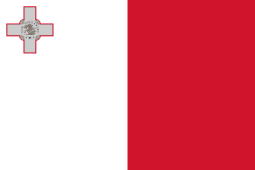 1 2 "World Cup 1990 (Italy, 8 June – 8 July)". Rec Sport Soccer Statistics Foundation. Retrieved 31 August 2008. ↑ "1992 – Small but perfectly formed". UEFA. 5 October 2003. Archived from the original on 21 April 2007. Retrieved 15 May 2007. 1 2 "European Championship 1992". Rec Sport Soccer Statistics Foundation. Retrieved 15 May 2007. 1 2 3 4 5 6 7 "Craig Brown's highs and lows". BBC Sport. BBC. 7 October 2001. Retrieved 31 August 2008. ↑ Barrie Courtney (14 March 2004). "England: International results 1995–1999 details". 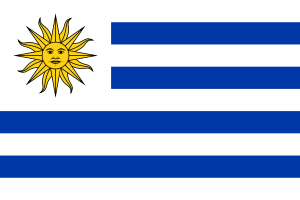 RSSSF. Retrieved 18 July 2010. ↑ "Scotland Open the World Cup 1998". BBC Scotland. BBC. Retrieved 16 May 2007. 1 2 "Burley move pays off for Scotland". CNN. 28 September 1998. Retrieved 12 April 2007. 1 2 "Battle of Britain". BBC Sport. BBC. 17 November 1999. Retrieved 11 April 2007. ↑ "Vogts unveiled by Scotland". BBC Sport. BBC. 15 February 2002. Retrieved 12 April 2007. ↑ "Scotland hit new low in rankings". BBC Sport. BBC. 10 November 2004. Retrieved 12 April 2007. ↑ "Vogts resigns from Scotland job". BBC Sport. BBC. 1 November 2004. Retrieved 12 April 2007. ↑ "Berti Vogts personal statement". BBC Sport. BBC. 1 November 2004. Retrieved 12 April 2007. ↑ "Japan 0–0 Scotland". BBC Sport. BBC. 13 May 2006. Retrieved 11 April 2007. ↑ "Smith appointed boss of Rangers". BBC Sport. BBC. 10 January 2007. Retrieved 12 April 2007. ↑ "McLeish unveiled as Scotland boss". BBC Sport. BBC. 29 January 2007. Retrieved 12 April 2007. ↑ "Rise and fall of McLeish's Scotland". BBC Sport. BBC. 27 November 2007. Retrieved 2 February 2008. ↑ "McLeish leaves Scotland for Blues". BBC Sport. BBC. 27 November 2007. Retrieved 27 September 2008. ↑ Hunter, Andy (9 September 2008). "Fletcher backs Burley as McCulloch deepens woe". The Guardian. London. Retrieved 27 September 2008. ↑ Moffat, Colin (28 March 2009). "Netherlands 3–0 Scotland". BBC Sport. BBC. Retrieved 31 March 2009. ↑ "Scots duo breach to be reviewed". BBC Sport. BBC. 1 April 2009. Retrieved 2 April 2009. ↑ Moffat, Colin (1 April 2009). "Scotland 2–1 Iceland". BBC Sport. BBC. Retrieved 2 April 2009. ↑ Moffat, Colin (13 August 2009). "Scotland can bounce back – Burley". BBC Sport. BBC. Retrieved 6 September 2009. ↑ Moffat, Colin (5 September 2009). "Scotland 2–0 Macedonia". BBC Sport. BBC. Retrieved 6 September 2009. ↑ Lindsay, Clive (9 September 2009). "Scotland 0–1 Netherlands". BBC Sport. BBC. Retrieved 9 September 2009. ↑ "Burley remains as Scotland boss". BBC Sport. BBC. 15 September 2009. Retrieved 16 September 2009. ↑ "Burley sacked as Scotland manager". BBC Sport. BBC. 16 November 2009. Retrieved 16 November 2009. ↑ "Levein appointed Scotland manager". BBC Sport. BBC. 23 December 2009. Retrieved 16 October 2010. ↑ Lindsay, Clive (7 September 2010). "Scotland 2–1 Liechtenstein". BBC Sport. BBC. Retrieved 7 September 2010. 1 2 Macpherson, Graeme (13 October 2010). "Miller insists three wins will seal play-off place". The Herald. Retrieved 13 October 2010. ↑ McGuire, Annie (11 October 2011). "Spain 3–1 Scotland". BBC Sport. BBC. Retrieved 11 October 2011. ↑ McLaughlin, Chris (5 November 2012). "Craig Levein exits as Scotland coach following talks". BBC Sport. BBC. Retrieved 5 November 2012. ↑ McLaughlin, Chris (15 January 2013). "Gordon Strachan confirmed as Scotland coach". BBC Sport. BBC. Retrieved 15 January 2013. ↑ Russell, Grant (26 March 2013). "Scotland officially first UEFA nation eliminated from World Cup qualifying". STV Sport. STV Group. Retrieved 26 March 2013. ↑ Lamont, Alasdair (7 June 2013). "Croatia 0–1 Scotland". BBC Sport. BBC. Retrieved 8 June 2013. ↑ Lamont, Alasdair (15 October 2013). "Scotland 2–0 Croatia". BBC Sport. BBC. Retrieved 14 July 2014. 1 2 3 4 Burke, Andy (16 October 2015). "A bumpy ride: Gordon Strachan and Scotland". BBC Sport. BBC. Retrieved 16 October 2015. ↑ Wilson, Mark (29 March 2015). "Steven Fletcher full of pride after scoring first Scottish hat-trick in 46 years to help brush aside Gibraltar in Group D". Daily Mail. Retrieved 14 October 2015. ↑ "Gordon Strachan: Scotland boss signs new two-year contract". BBC Sport. BBC. 16 October 2015. Retrieved 16 October 2015. 1 2 "England to play World Cup qualifier against Scotland on a Friday night". The Guardian. Press Association. 26 July 2015. Retrieved 20 October 2015. ↑ "World Cup Qualifying – European – Group F". BBC Sport. BBC. 11 November 2016. Retrieved 29 November 2016. ↑ "British Society of Sports History". FIFA. 19 August 1999. Archived from the original on 4 September 2005. Retrieved 31 May 2007. ↑ "Between the Wars". Scottish Football Association. Retrieved 30 May 2007. ↑ "Hampden Park". Scottish Tourist Board. Retrieved 15 September 2008. ↑ "Hampden Park". UEFA. 14 March 2007. Retrieved 16 May 2007. ↑ "Hampden". www.scottishfa.co.uk. Scottish Football Association. Retrieved 17 February 2013. ↑ "Scotland – International Matches 1996–2001". Rec Sport Soccer Statistics Foundation. Retrieved 15 September 2008. ↑ "Scotland National Team Match Details". Scottish Football Association. Retrieved 16 May 2007. ↑ "Scotland: Gordon Strachan hails Celtic Park atmosphere". BBC Sport. BBC. 13 November 2014. Retrieved 14 October 2015. 1 2 3 4 "Salmond hits out over TV football". BBC News. 27 February 2008. Retrieved 4 October 2008. 1 2 "UEFA Euro 2016 and FIFA 2018 World Cup qualifiers live on Sky Sports". Sky Sports. 14 May 2013. Retrieved 14 May 2013. ↑ "Scotland games 'should be free'". BBC News. 27 September 2008. Retrieved 4 October 2008. ↑ "Smith fires a warning shot to Westminster over Scotland TV rights". The Scotsman. Johnston Publishing. 26 July 2009. Retrieved 13 August 2009. ↑ "Scotland games to stay on pay TV". BBC News. BBC. 21 July 2010. Retrieved 24 July 2010. 1 2 "BBC to screen Scotland away ties on road to Euro 2012". BBC Sport. BBC. 16 August 2010. Retrieved 16 August 2010. ↑ "Setanta goes into administration". BBC News. BBC. 23 June 2009. Retrieved 16 August 2010. ↑ Deans, Jason (10 October 2000). "Channel 5 Ad Campaign Promoting Scotland v Croatia Coverage". The Guardian. London. Retrieved 9 October 2008. ↑ Roddy, Tom (10 September 2013). "World Cup qualifier: Macedonia v Scotland match preview". The Independent. London. Retrieved 12 September 2013. ↑ "BBC Radio 5 Live Coverage". BBC. 9 October 2008. Archived from the original on 18 July 2008. Retrieved 9 October 2008. ↑ "Live 2010 World Cup Qualifying on Setanta Sports Australia". Setanta Sports. 2 October 2008. Archived from the original on 13 September 2008. Retrieved 2 October 2008. ↑ Daily News (London, England), Tuesday, 6 February 1872; Issue 8042. ↑ Glasgow Herald, 28 March 1871; Issue 9746. ↑ Devlin, John (2006). True Colours 2. A & C Black. ISBN 978-0-7136-7928-1. ↑ "Scotland". Kit Classics. Retrieved 5 September 2007. ↑ "Gaelic added to Scotland strips". BBC News. BBC. 24 August 2006. Retrieved 31 August 2008. ↑ "1900 Rosebery Shirt". Scottish Football Association. Retrieved 31 May 2007. ↑ Brocklehurst, Steven (27 February 2014). "The beauty/horror of the garish new Scotland away strip". BBC News. BBC. Retrieved 27 February 2014. ↑ Ashdown, John; Freeman, Hadley (26 February 2014). "Scotland's away kit: 'A rare occasion, unknown since Beckham's glory days'". The Guardian. Guardian News and Media Limited. Retrieved 27 February 2014. ↑ Cole, Ian (13 November 2007). "Wait till the Tartan Army sees the new Wembley!". Daily Mail. London. Retrieved 31 August 2008. ↑ "The Tartan Army". Scottish Football Association. Retrieved 11 April 2007. ↑ "Tartan Army Sunshine Appeal". Tartan Army Sunshine Appeal. Retrieved 16 May 2007. 1 2 "Tartan Army wins fair play award". BBC Sport. 29 November 2001. Retrieved 16 May 2007. ↑ "World Cup – France 1998". t-army.com. Archived from the original on 18 August 2007. Retrieved 12 June 2007. ↑ "Celtic's Scott Brown back in Scotland fold to face England". BBC Sport. BBC. 2 November 2016. Retrieved 2 November 2016. ↑ Hannan, Martin (29 March 2016). "Football: Scott Brown prepares to join 50-cap roll of honour". The National. Retrieved 30 March 2016. ↑ "Scottish Football Hall of Fame Dinner 2013, Celebrating 10 years of the Scottish Football Hall of Fame". Scottish Football Museum. Retrieved 15 November 2013. ↑ "Sporting legends honoured in Scottish Sports Hall of Fame". Sportscotland. 13 October 2015. Retrieved 14 October 2015. ↑ "Burley appointed Scotland manager". BBC Sport. BBC. 24 January 2008. Retrieved 17 September 2013. ↑ "Hong Kong v Scotland". www.scottishfa.co.uk. Scottish Football Association. Retrieved 19 September 2013. ↑ "Gordon Strachan". www.scottishfa.co.uk. Scottish Football Association. Retrieved 19 September 2013. 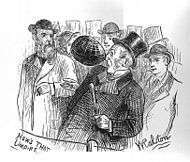 ↑ "Scotland – International Matches 1901–1910". Rec Sport Soccer Statistics Foundation. 6 June 2008. Retrieved 1 September 2007. ↑ "World Cup". www.scottishfa.co.uk. Scottish Football Association. Retrieved 17 February 2013. ↑ Coates, Jonathan (14 April 2007). "The day Hampden Park sat on top of the world". The Scotsman. Retrieved 17 September 2008. ↑ "McLeish: We can be heroes". FIFA.com. 16 November 2007. Retrieved 17 September 2008. ↑ Bell, Dan (21 May 2007). "Salmond aims for Scottish Olympic gold". The Guardian. London: Guardian News and Media Limited. Retrieved 4 September 2011. ↑ "FA wants GB team in 2012 Olympics". BBC Sport. BBC. 6 July 2005. Retrieved 6 July 2012. ↑ "No Scots for GB Olympic football". BBC Sport. 11 November 2005. Retrieved 11 April 2007. ↑ "Smith 'excited' by Olympic team". BBC Sport. 2 September 2005. Retrieved 8 January 2008. ↑ "Nations pave way for 2012 GB team". BBC Sport. 29 May 2009. Retrieved 5 January 2010. ↑ "Going for gold: Team GB Pearce reveals 18-man squad for London Olympics". Daily Mail. 2 July 2012. Retrieved 2 July 2012. ↑ Philipson, Alice (26 June 2012). "London 2012 Olympics: Hope Powell names first-ever Team GB women's football squad for Games". Daily Telegraph. Retrieved 26 June 2012.